Saviour MeDevices Inc, you’ve been an instrument to save lives and I am happy to say that I am one of them. It’s like you’ve been God sent. Wish granted I could tell. You introduced me to people I’m lucky to have and people I can’t help but hate. You let me experience things that made me strong and made me weak. Times that made me laugh and those times that made me weep. You pushed me to my limits. Like a flower, you’re the water and sunlight that made me bloom and helped me grow. I do believe, there’s no such thing as perfect institution but I know you’re doing everything you can and everything possible to meet your goals. We have different ways of achieving our goals which sometimes conflicts arise. A brighter and better future awaits me now. God has been generous to me all this time. Pouring me with blessings I thought I don’t need so I continue not to take every opportunity come into my way. If not now, when? I then asked myself. Goodbye is never easy. It’s always been hard but I never thought it will be this hard. To the officemates I worked with, thank you for imparting knowledge. To the managers that had been my confidante, thank you so much for listening to my rants, problems and insecurities and for those times you laughed with me. You’re my critics whom I love staight from my heart. To the friends I gained, I am more than happy we met. Friends at the workplace are rarely to find, guess I’m one of those who are lucky. We’ve been saying goodbye for so long, we’ve prepared ourselves when this happen but it’s way too different now. 2 years 1 month and 13 days as I count today, in that span of time great things happened. I tamed a lion. I made her laugh. I can count on my right hand just the times she got mad at me but I can’t count how many times she compliments me, praise me, smiled at me and laughed with me. She’s mainly the reason I find it hard to leave. Despite my shortcomings, she patiently waited for me to grow professionally. People find it weird for feeling this way toward my boss. They all think I’m kidding. But I am not. She’s different. A boss I never imagined myself having but I am grateful. Change is inevitable. Growing up is mandatory. Separation is unavoidable. There are times that we need to grow apart. This isn’t goodbye but see you again. I was there when you’re alone. I was there when you needed someone to talk to. I was there when you needed a shoulder to lean on. I was there when you needed a hanky to cry on. I was there when you’re broken. I was there when no one does. I was there when you’re happy. I was there when you want to waste time talking. I was in every success you had. I was there with you through thick or thin. I am just stating facts which i believe you forgotten. I am not talking about you. But if the shoe fits, go and fill it in. March 2013 was indeed a blast. My March was a blast! Since it was a blast, a photo of fireworks will do and explains it all. 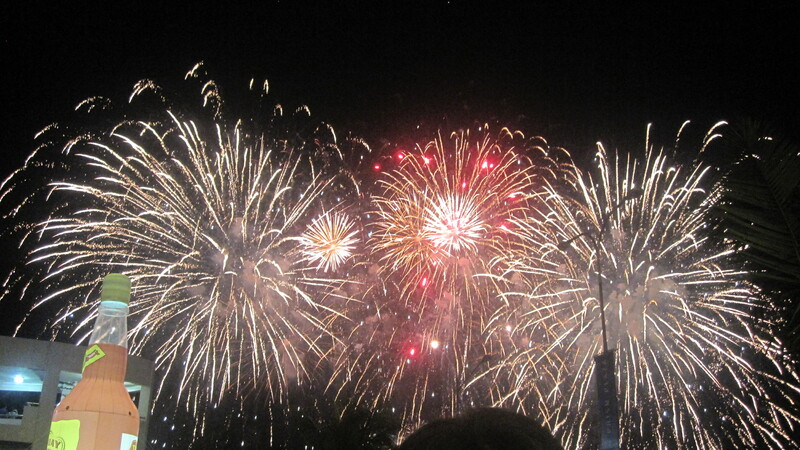 Me, my best friend and his boyfriend went to SM mall of Asia in Pasay to watch the Pyro Olympics. I am till now is fascinated to fireworks. The sky was full of colors that night and it is very lovely. I am in complete awe that night. After that awesome fireworks, we went to a friends house near Taguig which I haven’t been to. Yes, it’s true. I do feel a loser for not experiencing going there for some time. I heard from some people that Taguig, specifically The Fort and McKinley is a great place. I don’t know how to go there all by myself. Commuting is a no. I’m scared to ride a taxi all alone and I’m afraid that I’ll get lost because I am indeed a person who is poor at taking directions. Have I told you that I have good friends? 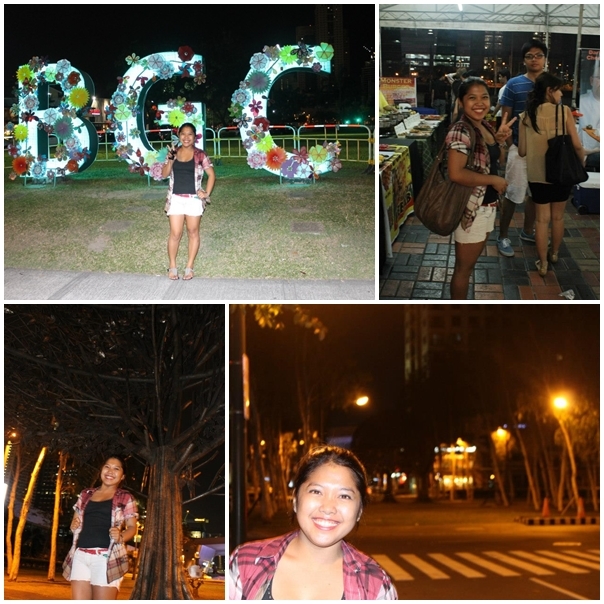 They manage to tour me around Taguig at 2am in the morning. We stopped at Banchetto the famous overnight Food Fiesta in the district. Had a photo at the awesome “man-made tree” in the place. Tour at Serendra and McKinley Hill. Taguig is an awesome place even at night. Thanks to you Janna, Alvin, Carmie and Gian for the free tour in the area. Bucket List achieved! 2nd place for this month – Antipolo. I’ve been to Antipolo to attend mass at Our Lady of Peace and Good Voyage yearly together with my family but I haven’t seen ever in my life the city lights of Manila from up there. 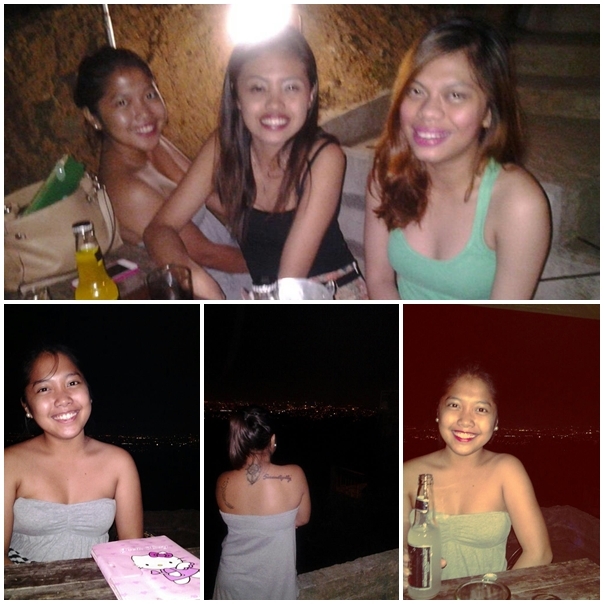 City lights, cold drinks, stories and laughs is a perfect combination for a bonding. A bucket list achieved again together with good friends, Peki and Joanne. 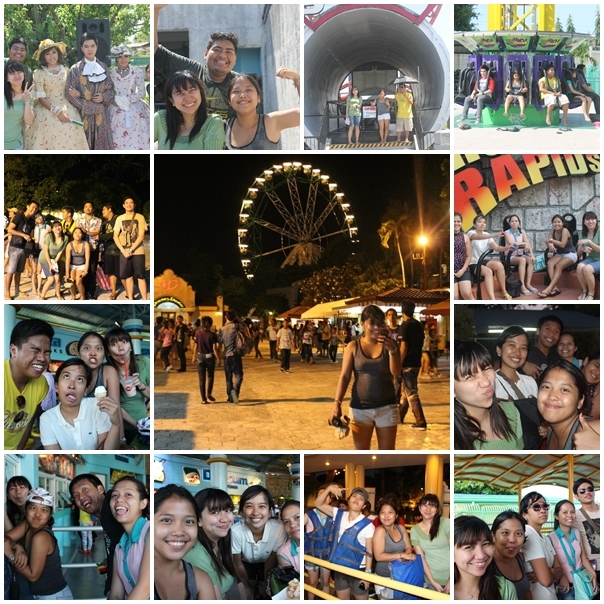 Before March ends, I together with friends went to Enchanted Kingdom in Sta. Rosa Laguna. We rode Disc-O Magic, Rio Grande Rapids, Anchors Away, Flying Fiesta, Space Shuttle, Log Jam and EKstreme for I don’t know how many times it is. We are all wet but we are indeed very happy. This will be the last time, as I believe I’ll be spending time with the boys. You guys are the best. You ended my month a blast just like how it started. I went to my hometown in Batangas running away from the problems the city has given me. I know for a fact that I am just making up reasons to see this guy I haven’t seen and talked to for a long time. I went directly to my friends house which happened to be the cousin of that guy I’m talking about. I spent hours talking and having a good laugh with them. He arrived and that’s the sign I’ve been waiting for me to go home. The following day, I woke up to the voices of the kids shouting my name. They wanted to go to the falls near our place. I know for a fact that it is supposed to be next week. I then changed my clothes pack my towel and we are off to go. While waiting for the jeepney to arrive, he talked to me actually he teased me. Asked me questions why I’m with them and I answered him in a blunt way that I was just invited and I really didn’t know because I know our falls trip is due next week. He laughed at me and I punched him hard on his arm. Finally! I got the chance to step my foot on this ground. 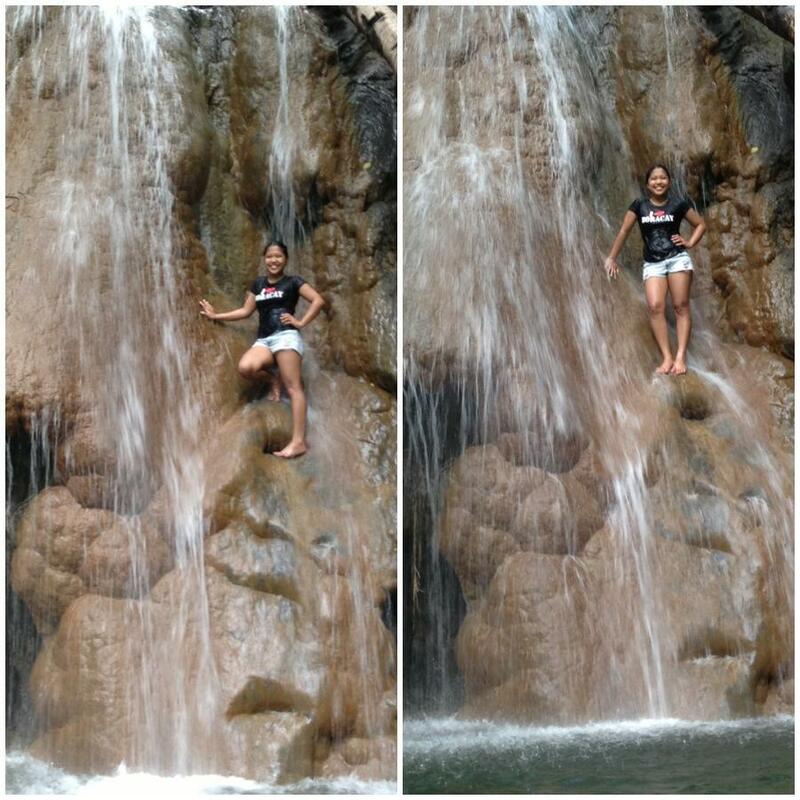 Swam at cold water of this falls. Jumped and shout my lungs out while doing that. And in that moment I knew that I can swim. We chatted for some time. I then realized, he wanted this to happen, he made this to happen. I can’t help but asked questions – If he wanted to talk to me and he wanted to spend time with me and be with me, he doesn’t need to do this. But I am still thankful I had this moment. I am falling real hard with no one to catch me down below. “Let’s go to the beach!’ A friend told me. I didn’t think twice. I asked him when and with whom. 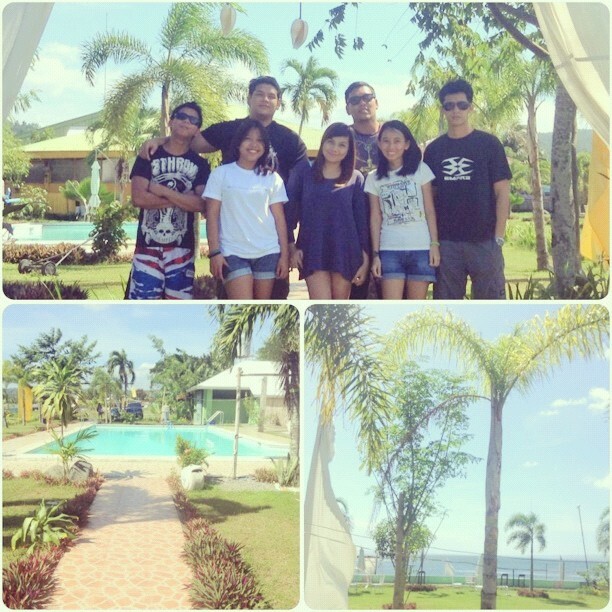 He told me, Saturday, January 19, 2013 at Batangas. He told me their plans like overnight, beers, sunset, riding jet-ski and take note – unlimited ride it is! Though I confirmed that I’ll be going without even telling me their plans who would dare to say no? We are talking about beach here! It’s my weakness. I’m a beach bum. I wouldn’t say no! 5AM at Buendia in Taft we met. Went to Shell in Magallanes to wait for others then were off to Southwoods in Laguna to fetch the others. And few hours from there, hello beach! The moment I saw the place, I was happy – I really am. For some time I forgot the worries I have that time. Thanks to you Wesley, you’re a big help. 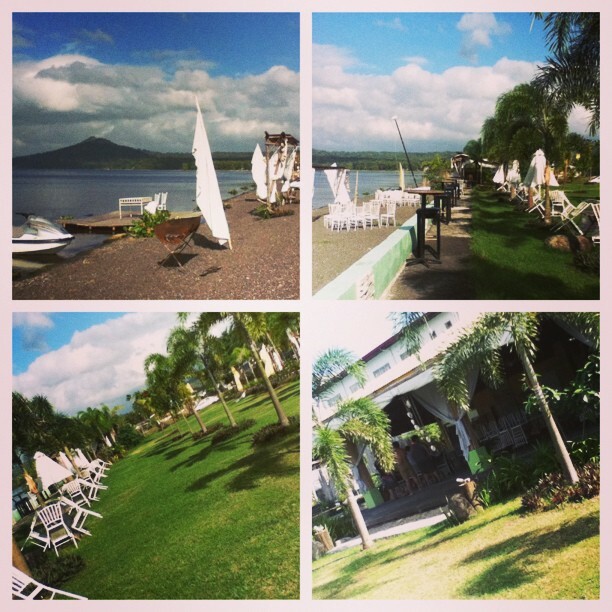 And another thing, I just the found the perfect location for my dream beach wedding here in Punto Miguel Lakeshore in Batangas. I got the chance to meet a variety of people. They are all amazing and fun to be with and take note – they have plans and when I say plans it’s a long term plans which awaken my mind to think the same. 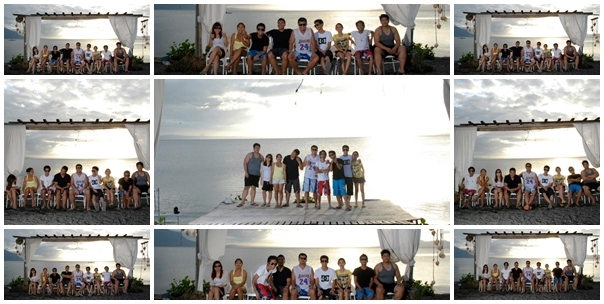 While waiting for that fascinating sunset in Batangas, we took a lot of pictures together. Dinner is served. Dinner at the beach. Bonfire to make us warm. Truth or dare for a fun night. Beers to get along and unlimited stories to share. That night was a blast. That weekend is about to end and we all need to leave might as well take that one last photo. 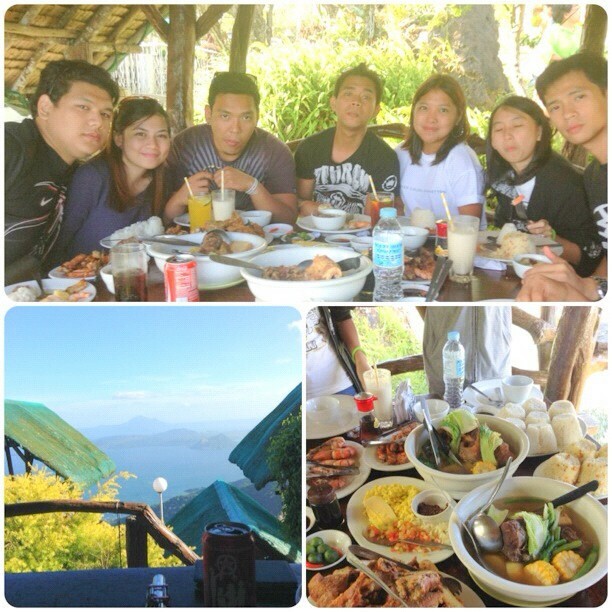 Since Tagaytay is near Batangas, we went there to indulge and satisfy the hunger we are feeling at that moment. Ate lunch at Leslie’s. The view was awesome as usual. The food was mouth watering. This trip was wall of a sudden. The people I’m with are all awesome. Take a chance to meet new people, explore places and have one helluva night! Batch 2013 of St. Paul Seminary Foundation has my heart and I am indeed very proud of them not just because my brother belongs to this batch (though its’ the biggest part.) but because you’ve been a part of my life for 5 years and I know for a fact that you’ll be a part of my “close to miserable life” till my last breath. The laughs we shared. The places we’ve been. The stories we told. The tears we shed. The secrets we shared. I can only name a few moments we had together, but you know what? Like an avalanche, it changed my life! My bros, I told you that my post on Instagram will be the first and last dramatic post intended for you all, but you all know how dramatic I am. You all have the biggest spot here in my heart. You’ve always been a good brother to me in one way or another. Thank you for the endless advice you’ve given me and I am surprise you guys were able to put up with my unmanageable behavior. I love you all from the bottom of my heart. Taking a leap into a new chapter of your life wouldn’t be that easy, most especially to the path you chose. Never forget that I’m always here to support you all the way. DEO GRATIAS AMIGOS! I met a guy in June. In an instance I like him. Medium built body, inches taller than me, handsome and with a bad boy image. He became my buddy together with some other guys. 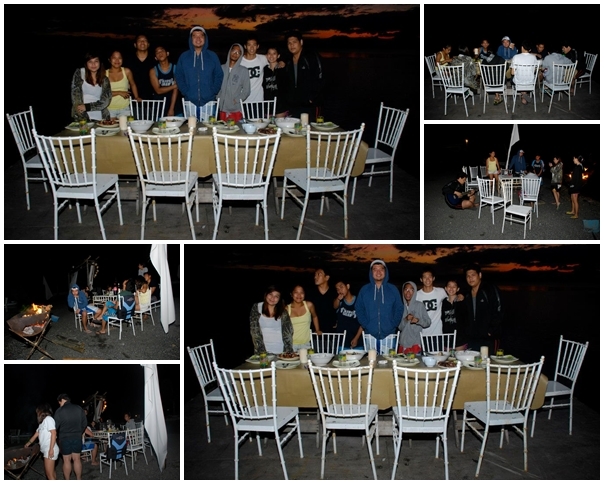 We eat together, we go home together, and we laugh together. He became my confidant and I became his. For months we’ve been closer than ever then people around us, notice the closeness we have but we didn’t mind. He became different in September – sweeter than ever. He’ll wait for me for hours so I won’t go home alone. A box of ensaymada which is my favorite is in his hands, sending sweet nothings over SMS, calling me late at night just to sing me a song. Once in my life, I am loved. I am treated like a princess. He confessed he like me but he’s in no hurry. He gets pissed when my nails are grown and when I leave the zipper of my bag opens. He always makes me feel beautiful and makes me feel good. He’s willing to look and do stupid things for me stop frowning. I become dependent to his presence. He guards me with his whole life every time. By November, we leveled up. We hold hands. A kiss on the forehead is his thing. Bringing of my bag is a big no and I shout at him whenever he’s insisting. He’s the only guy I brought to tiangge that doesn’t even rant; he even chose accessories for me. We can walk for miles and you can’t hear him complain. 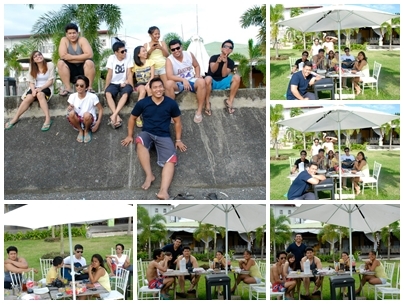 By December, we went to Tagaytay with my brother to talk everything over a cup coffee. Without a doubt, my brother likes him for me. But nothing good last forever and what we have needs to end. He cried and I hate what I felt. I felt the guilt all along. We stopped talking. Alcohol became his friend for over a month. He’ll send me drunken texts late at night. Bad words are coming out of his mouth and he’ll curse me and I will just let him do that. He’ll apologize and non-stop I love you’s will be next. I don’t want to see him this way. I never imagined things will turned out like this. All this time I thought it was a fake love, maybe it is. I fell in love with the idea of being in love, loved and appreciated. For the very first time in my life, someone is there to go through everything with me. Someone who knows me well enough inside and out. Months has passed, we’re talking again. Everything’s cool I guess. Last night was dejavu. We do what we usually do. We walked home after eating with non-stop stories to tell. It’s like nothing happened. He wanted to spend more time to talk and to catch up but I can’t. I wanted to hug him and I bet he do too. We are friends and I’m glad we still are.